It was not long after the hostilities of the Second World War ended that art world was faced with a problematic question of how to proceed. Neon artist as a category was not fully accepted or known, although some first steps to gain wider currency were in the making. Cold War created division between what was considered a regressive art of Socialist Realism and its overseas counterpart of Abstract Expressionism, but for a group of creatives that would later be labeled as Conceptualists both styles were too encumbered with ideology. Turning to philosophy, they sought to create art that would speak for itself; a practice that would primarily probe artistic boundaries and explore the meaning of art. After Joseph Kosuth’s Art after Philosophy published in 1969 in the magazine Studio International, foundations of Conceptual art were established. Artworks made of neon light tubes would make an important part of it. Starting from the premise that art is a concept, artists tended to reduce their artworks to formal minimum necessary to convey a message. Rendered in a relatively succinct and visually austere form, conceptual idea became the most important part of each work, and words often replaced pictorial forms. Art needed to be separated from aesthetics, and this is where neon tubes came into play. 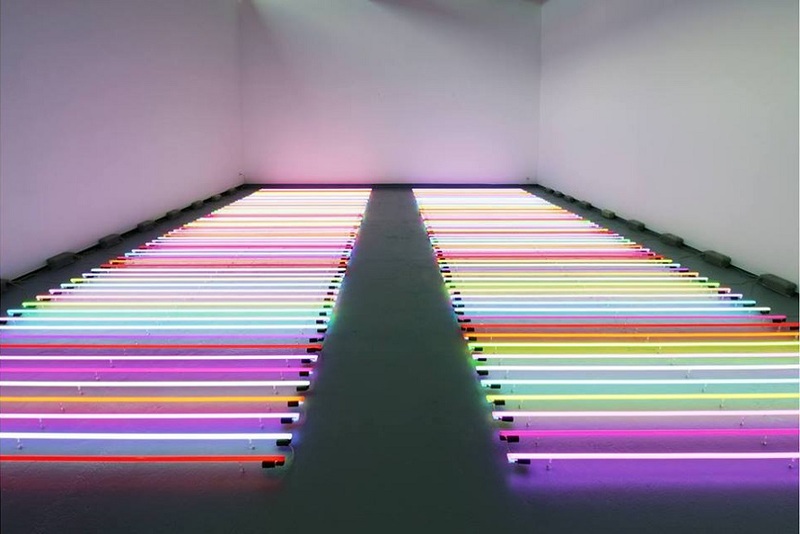 First widely known neon artists such as Joseph Kosuth, Robert Irwin, and Bruce Nauman saw in the use of neon tubes the perfect expressive material for their conceptual ideas. Not requiring specific attention besides bending and combining of forms, neon tubes became carriers of different messages, and remain to be so to this day. Although it could be said that the birth of neon artist came with Conceptual art, it is important to remember Gyula Kosice as the first creative to use neon tubes in art, starting from mid 1940s. His practice was based on minimalistic principles, and he is often considered one of the fathers of the movement. Perhaps this is what sets him apart from other neon artists of the time. Instead of going for aesthetic or sculptural effect, conceptual neon artists were more interested in experiment and provocation. Over the decades this remains the core principle guiding neon artists in their practice. Contemporary art fairs, such as Artissima, prove that neon art is still a much used form in artistic creation. New and emerging artists as well as the established ones flock back to the medium that provokes with its simplicity, but is nonetheless effective in delivering a message. 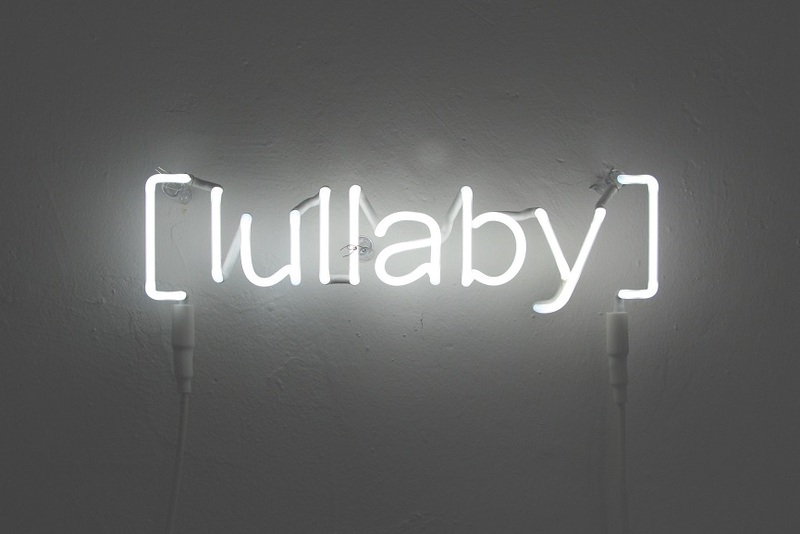 Here is our pick of the ten contemporary neon artists you should follow. Robert Montgomery’s neon poetry is a combination of message he sends to us, but also a critical take on advertising system and general condition of the modern world. Made mostly in billboard-size formats, Montgomery’s artworks take on the function of advertising posters, but instead of selling industrial products, they offer us love, hope and happiness with critical undertones. 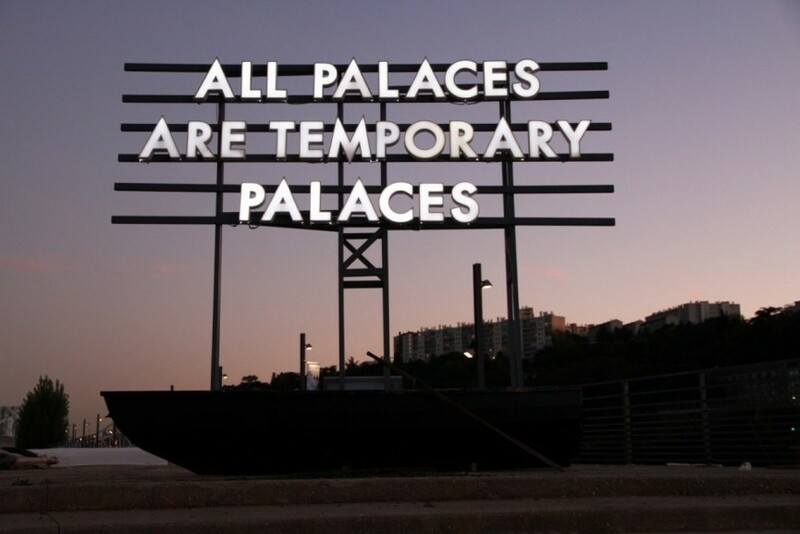 Featured image: Robert Montgomery – All Places are Temporary Places. Image via temporary-places.blogspot.rs. 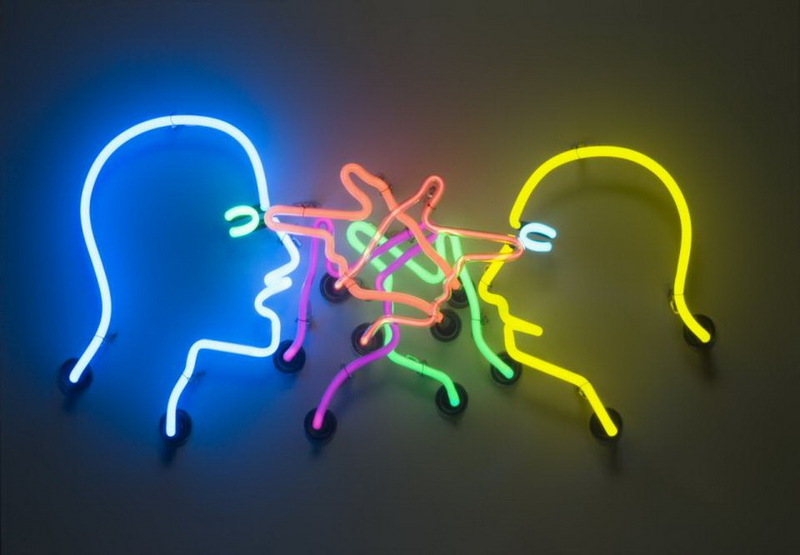 Neon artist with the beginnings in 1960s, Bruce Nauman creates his light artworks with the same penchant for the creative process as before. He produced a great number of neon pieces over the years, of which The True Artist Helps the World by Revealing Mystic Truths is one of the most cited. His pieces often explore sexuality, consumer culture and language, but beneath these investigations lies his interest in art’s role in life. 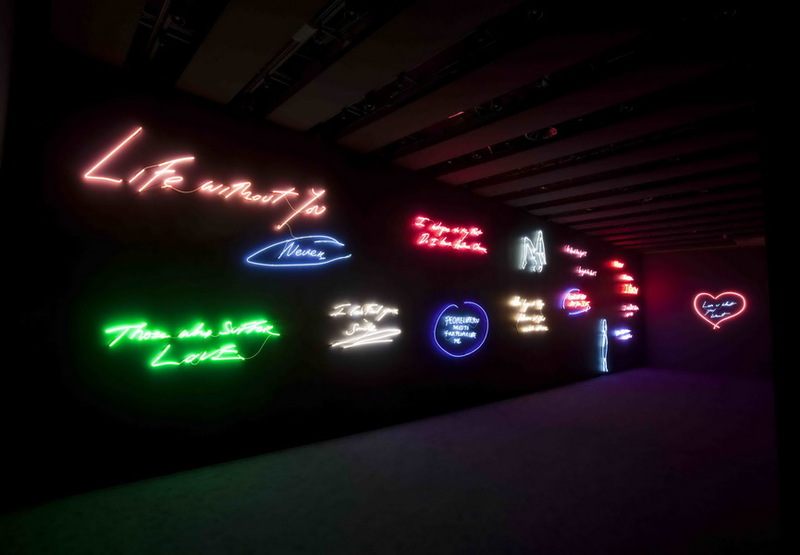 Tracey Emin’s neon works are direct renderings of her own handwriting. 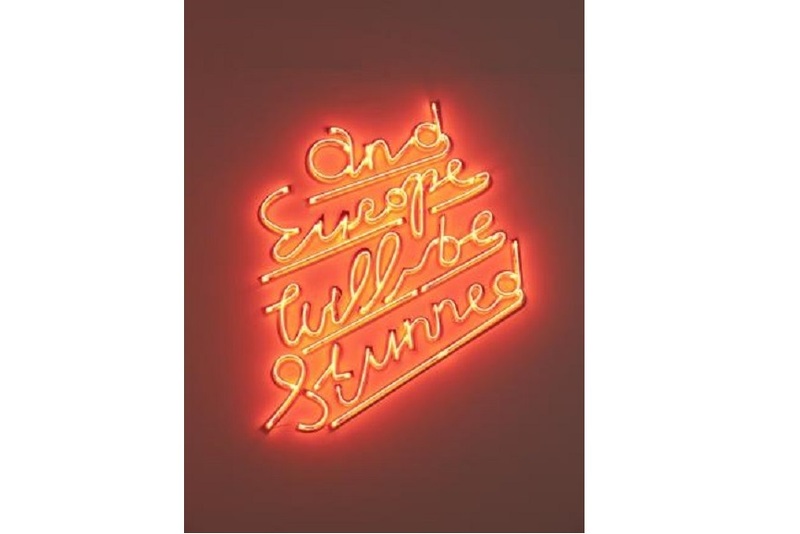 Being well-known for her intimate, confessional works such as Everyone I Have Ever Slept With 1963-1995, or installation view of her unmade bed, Emin’s neon artworks similarly showcase emotional addresses to public in written form. Present around the world, such addresses range from romantic, to politically charged ones. Interested in contrast between words and images, Olivia Steele uses neon to charge spaces with ironic and spiritual meaning. In dialogue with photographs, taxidermy, rivers and facades, her art evokes thought, while enlightening the scenery with elaborate handwritings in neon light. 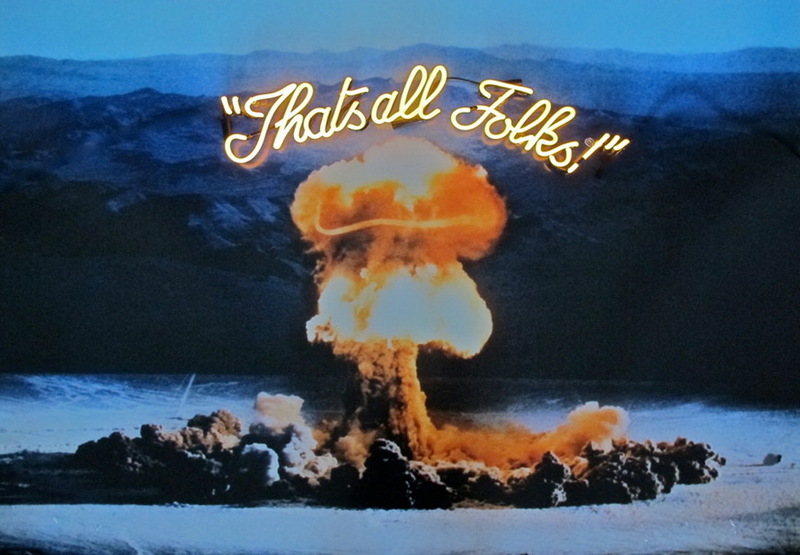 Olivia also uses iconic images, such as crosses and exploding atomic bombs along with deep personal sentiments rendered in neon tubes, to jar the viewer beyond the everyday. Featured image: Olivia Steele – That’s All Folks!. 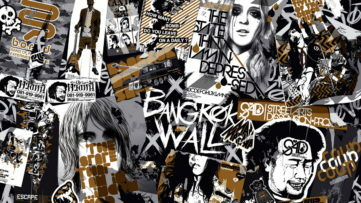 Image via Widewalls archive. 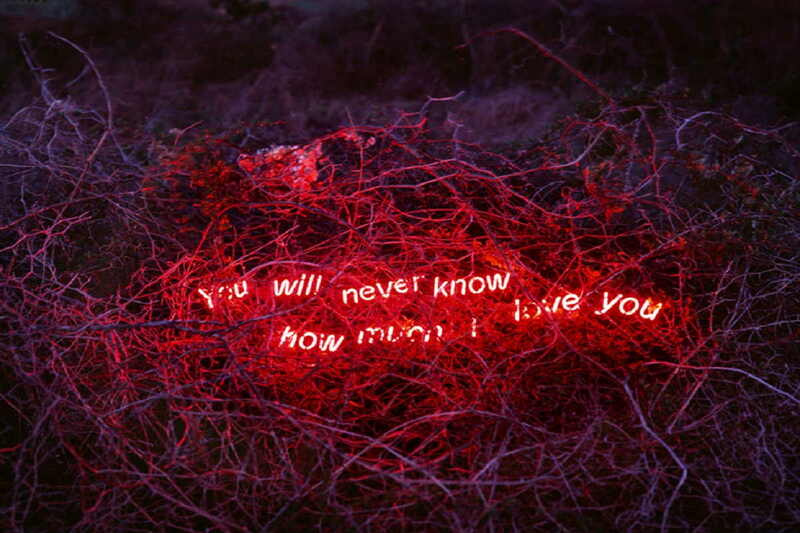 Combining desolate landscapes with trite romantic phrases taken from popular movies, Roland Barthes’ poetry, or other contemporary media made out of neon lights, Korean artist Jung Lee establishes herself as one of the prominent voices on contemporary scene. Trained as a photographer, she records her poetic expressions in nature, creating an enticing, but melancholic take on human urge for love often confronted with bleak reality. First and foremost a street artist versed in graffiti art, RERO explores public and private spaces with his typographies and neon artworks as well. 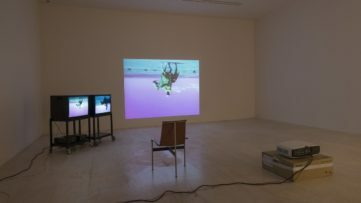 His works engage with some of the contemporary social tropes, often through the negation of image, in which place text is offered to the viewers. 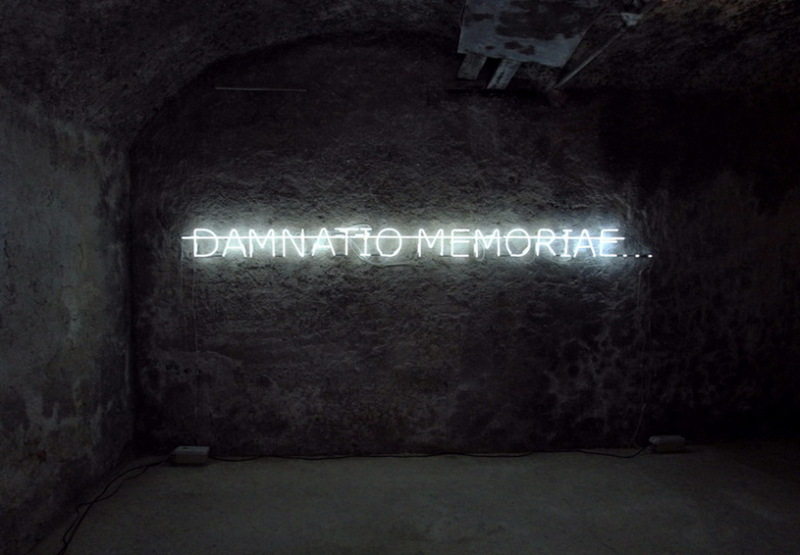 Featured image: RERO – Damnatio Memoriae. Image via Widewalls archive. Swiss author who is known for his neon pieces and abstract paintings, Lori Hersberger, invites viewers to not just admire the color and light in his work, but also to observe the ways his neon tubes and light they produce interact with different objects he places around them. Native of Israel, Yael Bartana explores current situation in her country in video and neon works. She often uses and manipulates documentary videos and creates a critical stance regarding tradition and rituals in a present-day Israel but also makes provocative artistic gestures regarding Europe’s dealings with the past. Combining neon with sound, Soledad Arias is one of the artists that breaks boundaries between the media, and creates highly original works that could be described as multi-sensory experience. Unlike other neon artists, she prefers to use neon tubes in one color, or leave them colorless, as it emphasizes their graphic properties. With his Pakistani- British origin, Shezad Dawood is primarily preoccupied with the identity politics and expression of different cultural traits combined in his mixed heritage. 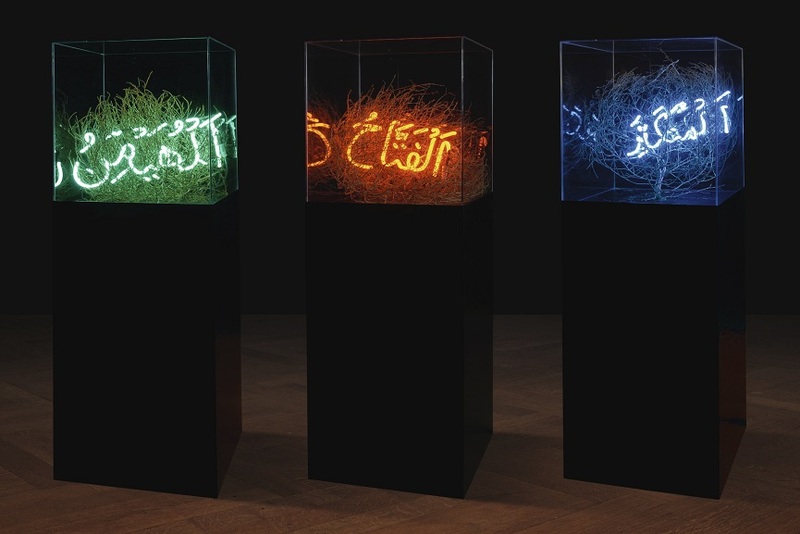 One of his works, titled 99 Names of God comprised of names made of neon tubes situated in tumbleweeds atop marble plinths. As the artist confesses, he only makes one neon work of a larger number he designs. He strives for visual simplicity encumbered with meaning, and reaching it is for him a deeply spiritual process. Featured image: Shezad Dawood – The Protector, the Judge, the Majestic. Image via sothebys.com. All images used for illustrative purposes only.